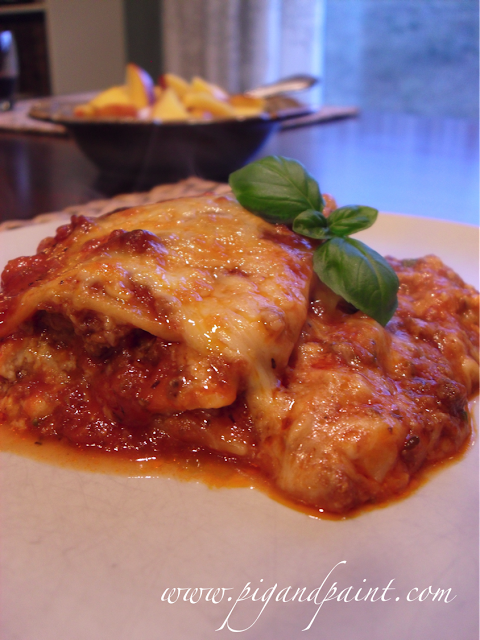 My lasagna recipe has morphed and evolved over the years, and I think I've finally settled on "the recipe." It's a balance of easy and slightly time consuming elements, however, I would most certainly classify it as an easy recipe to pull off. So, here it is.....my "secret" lasagna recipe! I really just eye-ball the ground beef and sausage. Ultimately you need a-whole-lotta both. Personally, I like a really meaty and really cheesy lasagna. In the biggest dutch oven or heavy-bottom pot that you own, heat the olive oil until shimmering. Add the ground beef and sausage, and cook over moderately high heat, breaking up the meat into large chunks, until no pink remains. Add the garlic, oregano, anchovy paste, worcestershire, garlic powder and crushed red pepper and cook until fragrant. Add all of the jar sauce, the brown sugar, bay leaves and thyme bundle. Cover, and simmer over low heat for at least 60 minutes. Add salt and pepper if needed (I didn't add any this last time I made lasagna and was very happy with my sauce...but each time is different). Remove the thyme bundle and bay leaves when you're done simmering. In a large bowl, combine the ricotta with the parsley, basil and 1/4 cup of the Parmesan. Add two cups of the shredded mozzarella and season with salt and pepper. Beat in the egg. Make sure you season with salt and pepper BEFORE you add the egg. I always forget and have to trust that I've seasoned the ricotta mixture properly (unless I'm feeling brave enough to eat raw egg, which I am NOT doing while pregnant). I've found that a little salt goes a long way in this step. Cook your lasagna noodles according to the package instructions (or don't, if you're using no-cook noodles). 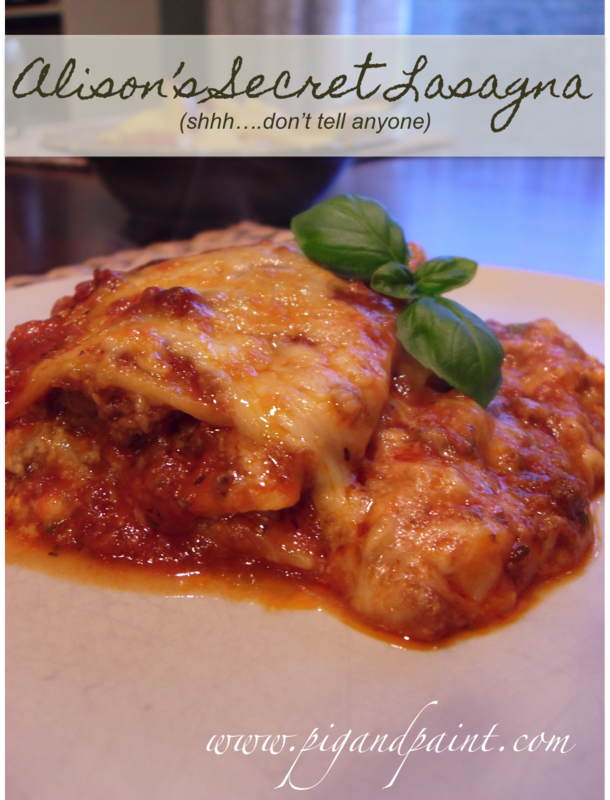 I prefer regular lasagna noodles, even though they are more work -- they just taste better in my opinion, but I've used the no-cook version quite a bit too, so use whatever you prefer. I like to buy disposable lasagna trays in bulk from Costco (they usually come in packs of twelve, I believe) -- makes it easy to freeze or giveaway without compromising your bakeware. Don't overdo it. You'll want to have at least 3-4 layers, so use your elements sparingly. The more thin layers you have, the better your lasagna will be. Your final layer will consist of noodles, sauce, mozzarella and parmesan. Cover the lasagna with tented aluminum foil, and bake for 25 minutes. Uncover the lasagna and bake for an additional 20 minutes, until bubbly and golden. If you cook it right away, it may be a tad watery, but it will be completely delicious, so who cares? That looks aabsolutely delicious! 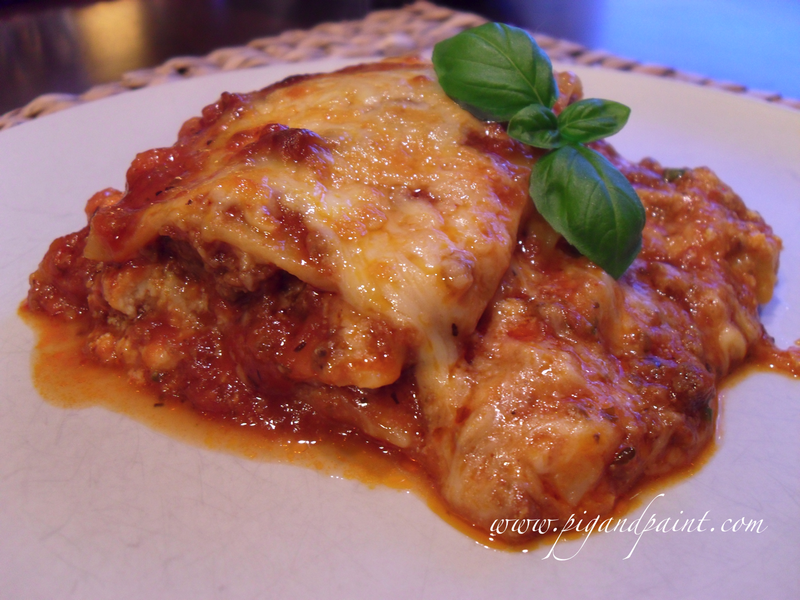 The anchovy paste in lasagna is new to me, but sounds great!